What Does Life Mean to One Who Was Dead? I’m just returning from a one week vacation for Christmas. We had a fabulous time with friends and family. 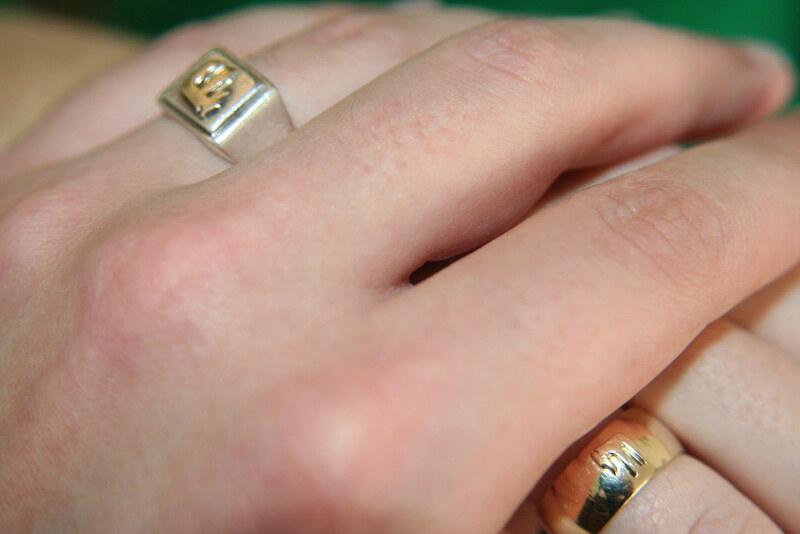 I gave my wife a ring with the Chai symbol on it. This holds special significance for our family to remind us of the grace of God. Along with the ring I gave her a plaque with this written on it to explain the significance of the ring. Chai (hai) is Hebrew for life. What does life mean to one who’s dead? To stand before the casket and to ask such a question would be a foolish query. For he will offer no response, as he desires nothing and nothing tickles his senses. Indeed the weight of death is on all who stand near. The finality and futility of his position offers a chill reminder of the finitude of life. He cannot taste the sweetness of the pleasures of the living. He cannot see the vibrant colors of vitality of or feel the breath of companionship. No glorious note can strike his ear. One who is dead before God, shares a similar state. He has no claim in the land of the living, no means to comprehend the grace that strikes his eyes. The sun to him is heat to burn, and light to blind. The wind is destruction and the rain a flood. He carries the awful heaviness of the guilt of condemnation and separation which is upon every man who is apart from Christ. But one who is alive truly shares dual citizenship, lives in two worlds. His Spirit, lifted with wings not his own, lives in a world where complexities and contradictions have their resolution. He sees the dim reflection of God in the tiny drop of dew. The rocks and hills become shafts of glory as they strike his sensibilities. But far above these signs of glory is the satisfying well of water which satiates his deepest thirst…to know Him. For to the one who’s living, to live is Christ and to die is gain. Tribulation, famine, sword, or peril cannot quell the joy that is found in Christ. It was He who first passed through the fire of the realm of the prince of this air. As the scriptures tell “For we do not have a high priest who cannot sympathize with our weaknesses, but One who has been tempted in all things as we are, yet without sin.” He who made himself low to become a servant, he resisted the alluring laurels of pride. “Who, although He existed in the form of God, did not regard equality with God a thing to be grasped, but emptied Himself, taking the form of a bond-servant, and being made in the likeness of men. Being found in appearance as a man, He humbled Himself by becoming obedient to the point of death, even death on a cross.” This man is worthy of commendation and praise. It was He who ransomed us out of our enslavened state with his scandalous death. It is only He who can offer reconciliation and justification to those who believe. Who can comprehend that this man has bestowed on us, undeserving as we were, the spiritual treasuries of heaven. No greater gift has ever been given. We have both here and forever life of sublime joy, faithful companionship, and perfect peace. So you ask what does “life” mean to one who was dead? It is taste and sight and breath and warmth. It is hope which will never leave us ashamed, the blessings of Christ. The day will come when we with hearts full of faith and hope will stand before the King of kings and he will say with outstretched arms, “enter into the joy of your master.” So I say to you, “O taste and see that the LORD is good” for He has made us alive. This entry was posted in MattLaPine, TheGospel by Matthew A LaPine. Bookmark the permalink.